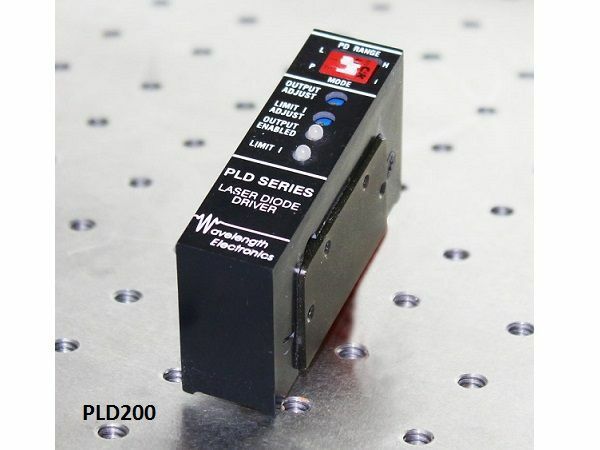 Ultra-stable, high precision quantum cascade laser drivers and laser diode drivers, in different formats, are available for a wide range of applications such as biomedical, imaging, spectroscopy, remote sensing, military, aerospace, communications, material processing, environmental and manufacturing control. Laser Diode Safety is paramount and protection is built into every Wavelength Electronics module. 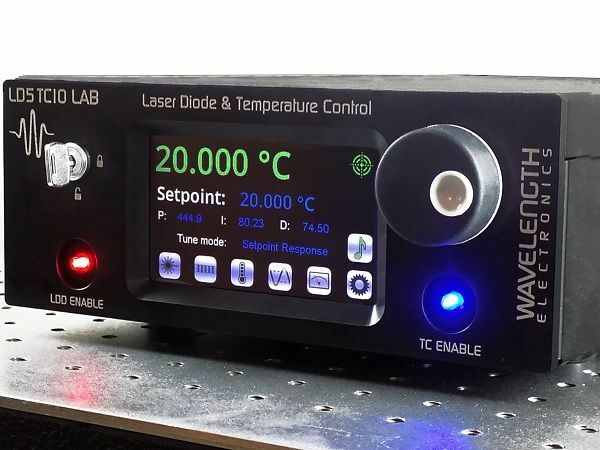 LD5TC10 LAB Integrated Laser & Temperature Control Instrument. The LDxCHA product family has current levels from 2.5 A up to 15 A. The following models are available: LD2.5CHA (2.5A), LD5CHA (5A), LD10ACH (10A), LD15CHA (15). 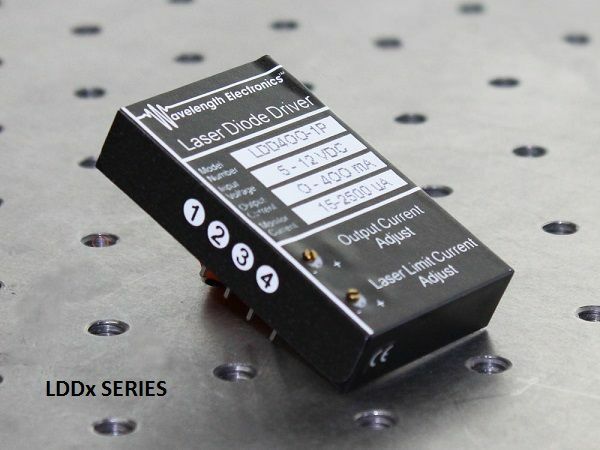 The low noise LDD Series 8-pin DIP drivers with excellent current stability in constant current mode are ideal for laser spectroscopy, electro-optical systems, and contamination control devices. 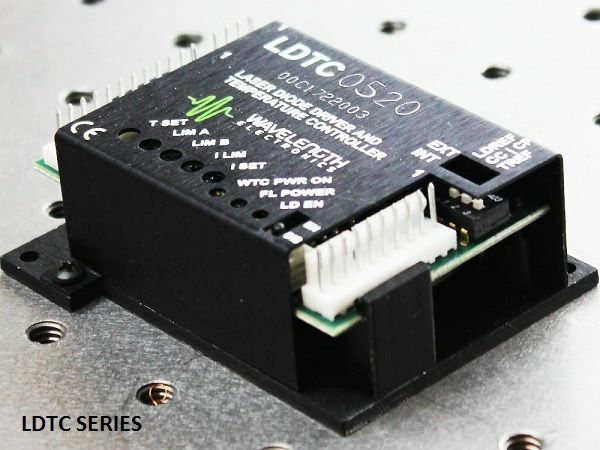 The LDTC Laser Diode Driver and Temperature Controller combines Wavelength’s proprietary FL500 and highly stable WTC3243 in one compact module. 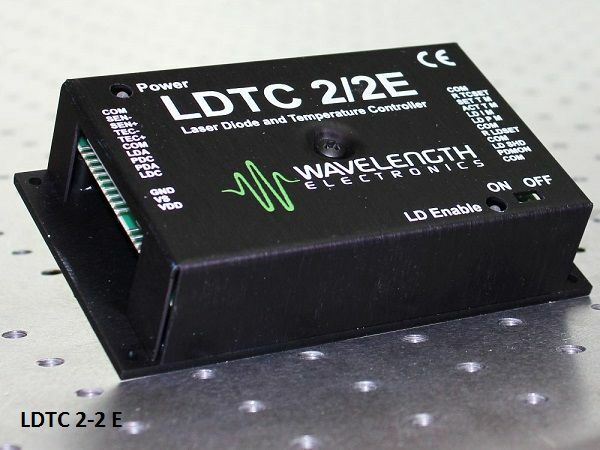 The LDTC2/2 includes both a Laser Diode Driver and a Temperature Controller that each drive up to 2.2 Amps ans is available in either chassis or open frame format. 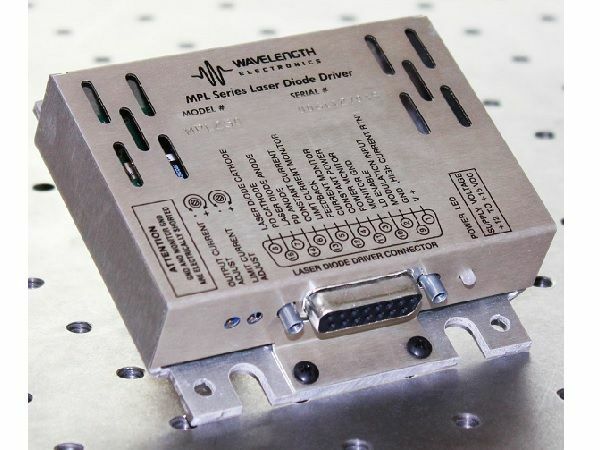 The MPL Series are very low noise laser diode drivers. 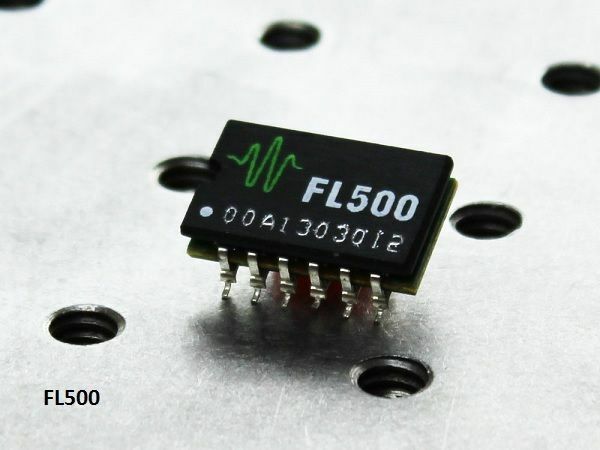 They operate from +12 to +15 V and is very easy to set up for any laser diode /photodiode configuration. The PLD Series Laser Diode Drivers deliver the reliable performance in a compact and easy-to-integrate package. 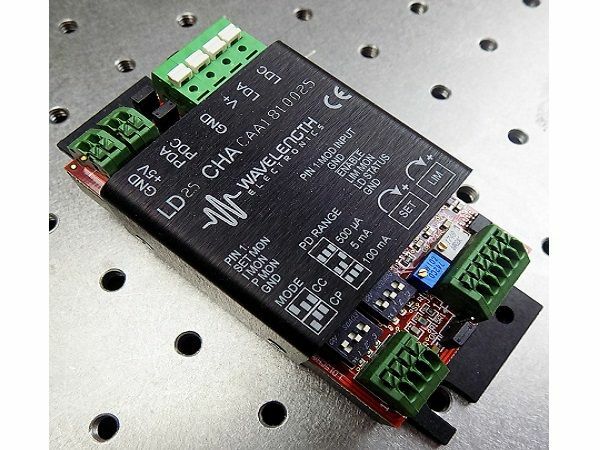 Versions are available with outputs are available from 200mA to 12.5 Amps. 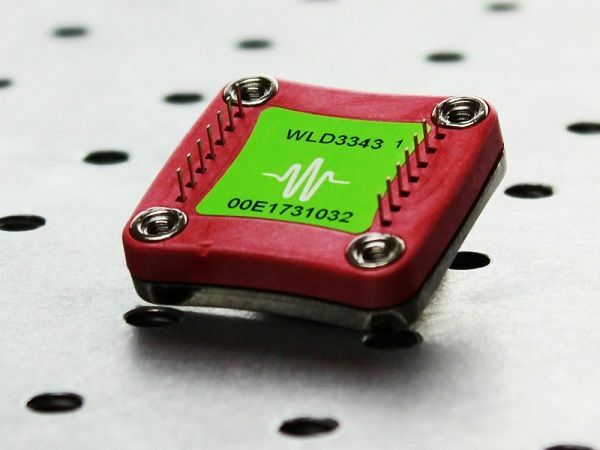 The WLD3343 is a general purpose laser diode driver that maintains precision laser diode current or stable photodiode current using electronics that are compatible with any laser diode type.